Now, we look up to them as role-models. The world of science lauded them for their path-breaking discoveries. We must be inspired by their commitment and astuteness which helped them emerge successfully in their walk of life. 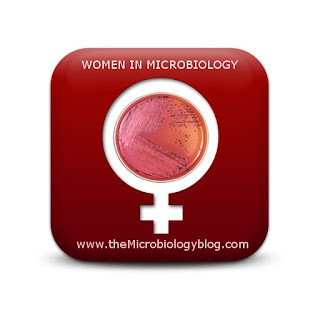 The following are a ‘few’ outstanding contributions made by women to the science of microbiology and genetics. Dorothy Hodgkin (1910-1994) made the first X-ray diffraction studies of penicillin and vitamin B12 and solved their structure. She won a nobel prize in 1964 in recognition of her contribution to science. Rosalind Franklin (1920-1958) is best known for her work on the X-ray diffraction images of DNA. Her data was a part of the data used to formulate Crick and Watson's model for DNA structure. Prof. Nancy Millis, a specialist in microbiology and biochemistry, is known for her ground-breaking research into water quality and water treatment. Barbara McClintock is credited with the discovery of mobile genetic elements that tend to move between locations in the genome. She was also responsible for demonstration of different basic genetic phenomena including meiotic crossing over and elaborated on the roles of centromeres and telomeres. She was the recipient of the Nobel Prize in 1983 for her discovery of transposition. Martha Cowles Chase worked with Alfred Hershey to conduct one of the most famous experiments in biology in the 20th century. This experiment was conducted to demonstrate the genetic properties of the DNA over proteins. Rebecca Craighill Lancefield (1895-1981). Developed a system of classification for Group A streptococcal bacteria - the Lancefield Grouping - which identifies bacteria including those causing scarlet fever, sore throat and erysipelas. Margaret Pittman (1901-1995). Identified the cause of whooping cough, which led to the development of an improved vaccine.